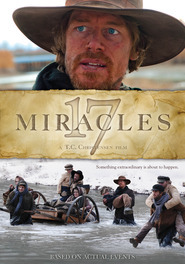 The Deseret Bookshelf version is enhanced with video. To completely engage the reader and enhance the learning process, the book features a blend of print, media and online resources. For example, at the end of each chapter, readers are invited to ask questions, ponder and apply the principles being taught. The margins of the book are extra-wide and there are blank pages for jotting down notes. “The overarching purpose of Heavenly Father's great plan of happiness is to provide His spirit children with opportunities to learn,” writes Elder David A. Bednar of the Quorum of the Twelve Apostles. But how can we best learn the things we need to know and do? provides patterns for spiritual learning that will lead you to understand and act on gospel truths. Learn how to get the answers you need for yourself! Features extra-wide margins for recording thoughts and invites readers to ask, ponder, and then apply what they are learning. Links throughout the book lead to teaching moments on the DVD, which includes a Q&A session and an exclusive interview with Elder and Sister Bednar. Available as an enhanced ebook with embedded video content (features on our free Deseret Bookshelf app), and as a standard ebook on other e-readers. Elder David A. Bednar was called to serve as a member of the Quorum of the Twelve Apostles in The Church of Jesus Christ of Latter-day Saints in 2004. Prior to his call, he had served as an Area Seventy, regional representative, stake president, and bishop. He served a mission to southern Germany and then attended Brigham Young University, where he received bachelor's and master's degrees. He received a PhD in organizational behavior from Purdue University and was a professor of business management at Texas Tech University and the University of Arkansas. Elder Bednar served as the president of BYU-Idaho from 1997 to 2004. His previously published books include the bestsellers Increase in Learning and Act in Doctrine. He and his wife, Susan, are the parents of three sons. This book caused a major paradigm shift in the way I live the Gospel! The teachings in this book are so inspired. He writes in a way that is simple, direct, and powerful. His discussion on Doctrine/Principles/Applications and Knowledge/Understanding/Intelligence were particularly poignant in my studies. I've read through his 3-part series twice now, and will continue to revisit these chapters throughout my life! This book greatly emphasizes on how important it is for individuals to make spiritual patterns in their lives in order to obtain their own revelation and answers. I love how Elder Bednar clearly explains the importance of learning throughout your life and promises us that we will be greatly blessed as we strive to “seek learning, even by faith.” Reading this book was very enjoyable and I feel like I greatly benefited from it. The inclusion of many writings and talks really helped me gain greater insights into what Bednar was saying. One of my favorite parts of the book was when Bednar explains that knowledge and intelligence mean diligence and obedience. Bednar explains that knowledge is obtained through diligent study and intelligence is gained through faithful obedience. What fascinated me about this insight Bednar gave is that he was able to gather those insights from only two verses of scripture. This made me realize that many wonderful truths can be found in even the smallest of verses of scripture. 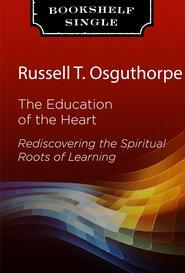 I would highly recommend this book to anyone who is seeking for a greater light concerning the importance of learning. Exceeded my expectations. Awesome, modern format with one to four minute videos of Bednar explaining concepts along the way. Well worth the investment of money and time. Excellent Self Help book for Saints of God. This book has been an extremely helpful book and guide for gospel and all literature learning. I will keep this book as a constant companion to read and reread again and again. It is simple, strait forward and powerful. This is a must read for all the saints of God. Now I am trying to apply the increased learning that I did! I watched the first segment but decided that it wasn't quite what I had hoped for. It seemed to be scripted. BUT I did take notes in my book - nice margins - and I appreciated the summary at the end of each chapter that I could think about what I had learned and form some personal questions of my own. The back-up talks were helpful, one of them happened to be a General Conference favorite. What a divine book! I use the word divine in every sense of the word. The ability to give words, which seem to come from heaven above, is one that never fails whenever an apostle of the Lord, such as Elder David A. Bednar, speaks. This book is no different. Elder Bednar puts us all in the same setting of needing to seek learning out of everything we can in life. I like how he puts us all on the same level; indicating that learning is not only for those who are young and haven’t lived all of life yet. This book is most definitely worth every penny you spend, buying it. The lessons you can learn from this book is so much more worth any material thing in existence right now. If you enjoy applying the principles from something you read to real life, you will enjoy this book quite thoroughly. Faith is definitely something that is not fully utilized by the world today. This book helps with understanding just how much faith has to do with us learning anything in today’s world. This is one of those books that you don’t only read, but feel at the same time. You can feel the power behind the words Elder Bednar uses. Elder Bednar does a very good job at laying out the steps of learning and anything else. One of the most enlightening texts relative to the responsibility of learning while in this mortal sojourn, as well as teaching the doctrines and principles of learning by the Spirit in such a way as to empower the reader to act as an agent in obtaining the knowledge and understanding necessary to wade through the travails of life. I highly recommend this book to anyone. True doctrine understood changes attitudes and behavior than a study of behavior changes behavior. We all need to rise up and live our lives as the Master would have us and break the shackles of idleness and despondency that plaque society. Increase In Learning is such a wonderful book. We all know it is our responsibility to learn while we are here on this earth, but the actual process of doing that is harder than it sounds. This book illustrates what we can do to become better learners and teachers. Increase In Learning teaches us “how we can best learn the things we need to know and do”. Elder Bednar has such a skilled writing technique. He includes many quotes and sources so it is not just a book of opinions. He includes different ideas from different people and general authorities and authors. 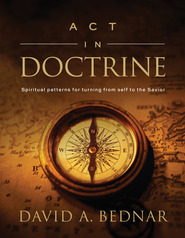 Bednar is a very clear writer; he presents things in a way that people of any age or circumstance can understand. I also appreciated the way he had paragraph titles, it really organized the writing in an easy to read format. I know I have been seeking answers to questions that have been on my mind for a while and after reading this book I feel like a have a better idea of how to find those answers. This book presents "Spiritual patterns for obtaining your own answers". This book is truly inspired and I will use the teachings I have learned for the rest of my life. I would recommend this book to everyone! 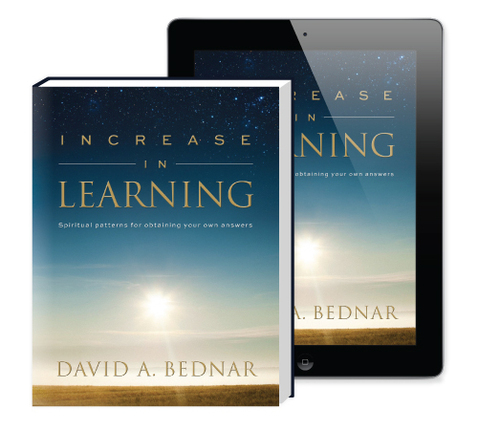 As a reader who looks for uplifting books, I found "Increase In Learning" to be one of the best books on increasing the Spirit in everyday life, on the market. This book is a great tool to access the readers life and motivate him/her to reach for a higher standard. This book is a great tool for each family member to study and write personal thoughts on each page. The pages have space on the right side to add plenty of notes for easy viewing at a later date or just for writing thoughts as they come to mind. Give yourself plenty of time to read this book because it is very thought provoking. I loved this book and ended up purchasing one for each of us so we could keep it with our journals. Transforming. Makes you reevaluate the way in which you live the gospel. You feel like a new member of the church doubling down on the methods you've always used but with dramatic new results. The iPad version with videos was rewarding. Elder Bednar's teaching style is highly effective. 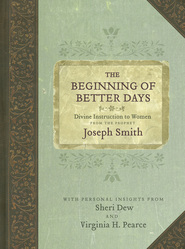 I've added this book to my daily gospel study for the benefit of reinforcing his teachings. This is a great book--I highly recommend it to everyone. I downloaded the book for my iPad through Deseret Bookshelf. The only reason I didn't give it 5 start is because the embedded videos require an Internet connection to access them on YouTube. My iPad only has wireless, so I can't always watch the videos. Also, YouTube is blocked at all Church buildings. I've passed my concerns to the folks at Deseret Book using their live chat. Perhaps that will help resolve the issue in future ebooks. Probably the best gospel tretis on finding answers for yourself. A must buy for any and all members of the church! Revelatory! Motivating! Wonderful content and format! I love this book and am beginning my second read - this time a more in-depth study. I appreciate Elder Bednar's constant reminder that the Holy Ghost is the teacher and the answers are in the doctrine and principles. He clearly points the way, but places the responsibility for learning squarely where it belongs - on each of us individually. Highly recommended. What a fantastic book. I have learned so much! This book has been a thrilling way to learn. I have read it half way through and am excited to finish. Thank you Elder Bednar!! I've been charged for this eBook, but have not yet received it. I clicked on Sync eBooks and nothing has happened. How do I get my book? This book is amazing and very powerful! It has made me think about areas in my life differently. I know now that I must act and then my faith will keep me going. Then the Lord will be able to communicate and bless my life more. I was prompted to write this review because through Elder Bednar's teachings, especially in the video segments, I recognized the pattern the Lord has used to teach and work with me all my life! I shared this with my wife, Becci, who with joy, also recognized this pattern in her life. This has been very affirming and has helped us to see Heavenly Father's hand in our lives more clearly and has increased our love and appreciation for Him immeasurably. My wife and I can testify that his teachings to give greater emphasis to "doctrines and principles" instead of just "applications" is true. Our parenting philosophy stemmed from what Joseph Smith explained, that he taught "correct principles and the people governed themselves." Our family is happier because of it. You can know for yourself the Gospel truths and stand independent as a witness for the Savior. Love Elder Bednar's perspective. There is something to using more of your senses to learn--Love the embedded videos! As another reviewer mentioned, I hope to see more books done this way. This book is amazing. I love that the extra video content is right in the text of the ebook. I hope Deseret Book has more interactive ebooks to follow. Elder Bednar is such a great teacher!